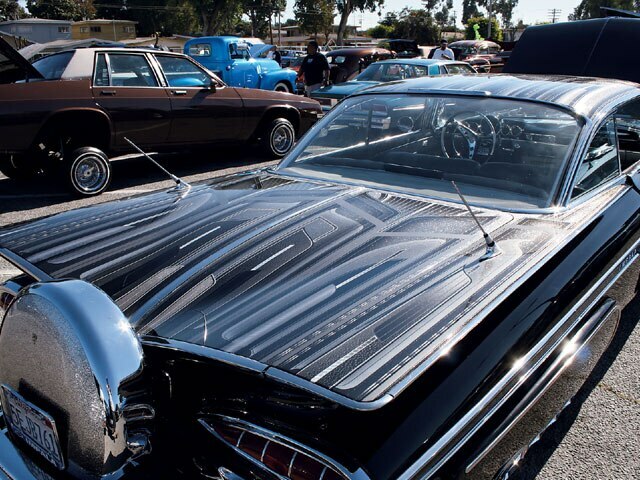 A Car Show And Concert To Benefit Compton Community College. 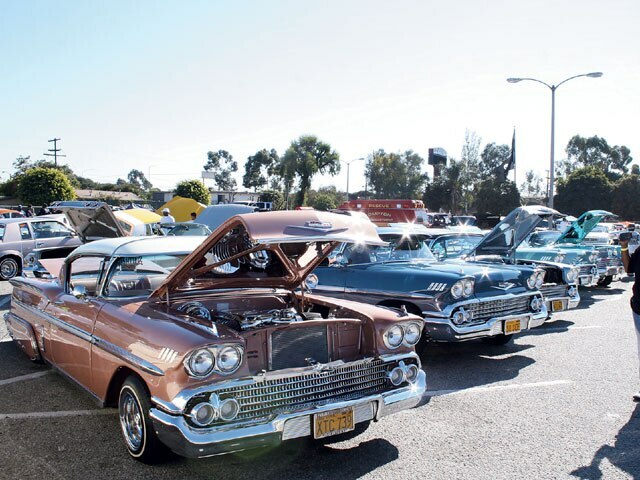 Southern California’s finest gathered at Compton Community College this past November to throw one of the biggest car shows in the area to benefit the city of Compton. 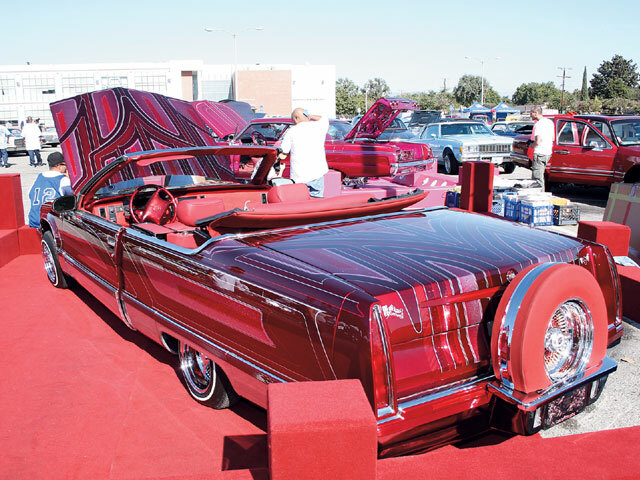 Held after the Las Vegas Super Show in October and before the toy drives of December, Compton Community College and the National Low Rider Association set up an event where show-winning cars lay on the grass and in the open air. 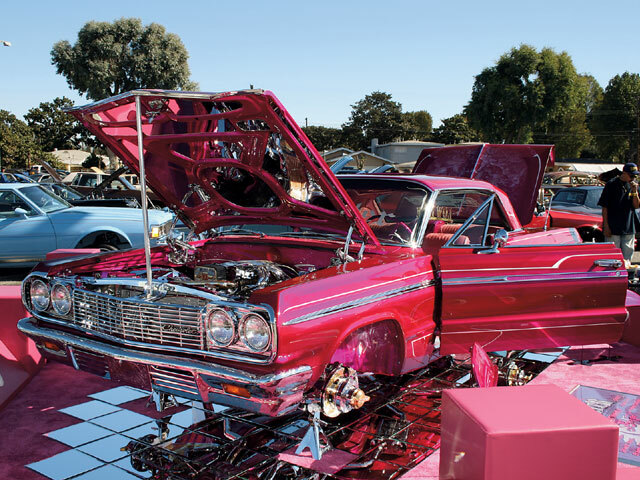 The Mega Peace Fest was in full effect with your typical warm Southern California weather and the grounds full of chrome and paint shining in the sun. 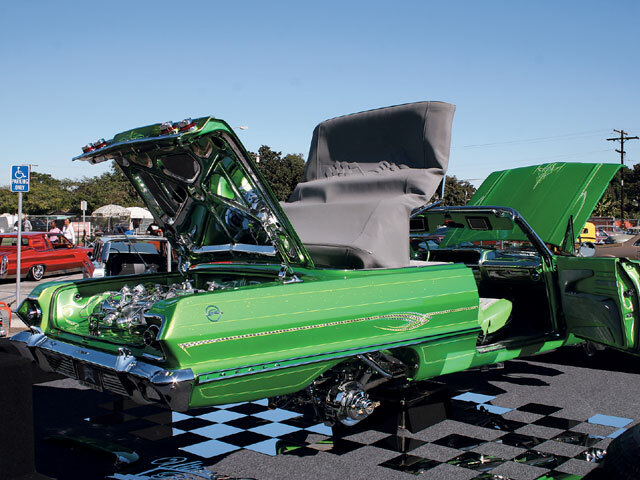 The event was a great example of how lowriding can bring communities together and make a great show. 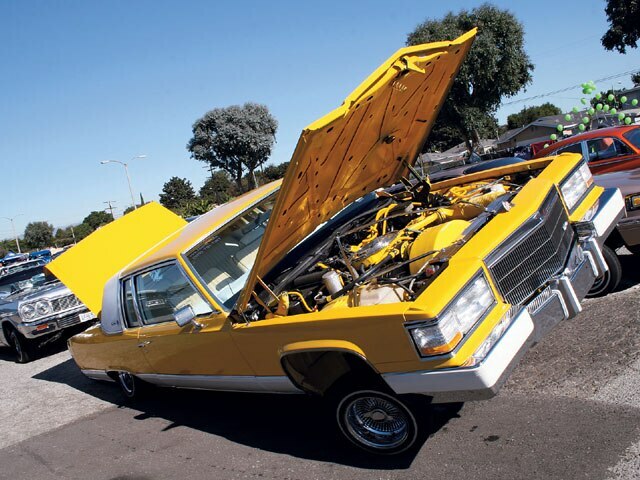 The parking lot was full of lowrider cars that you would usually see displayed indoors. 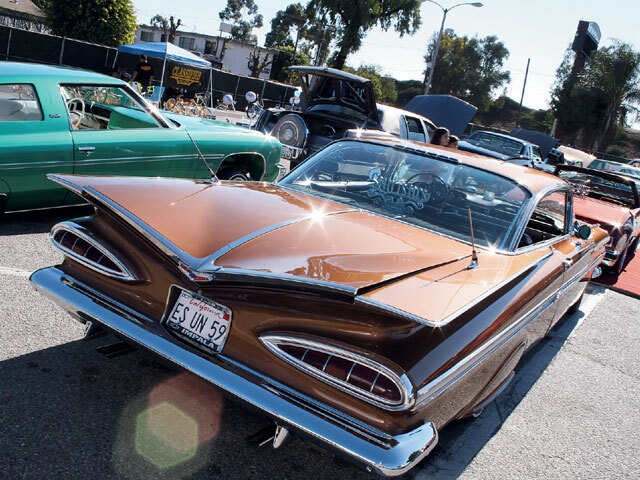 The shining sun made it easier to admire the hard work that went into the building of these cars and show-goers were able to see all of the details that go into these award winners. 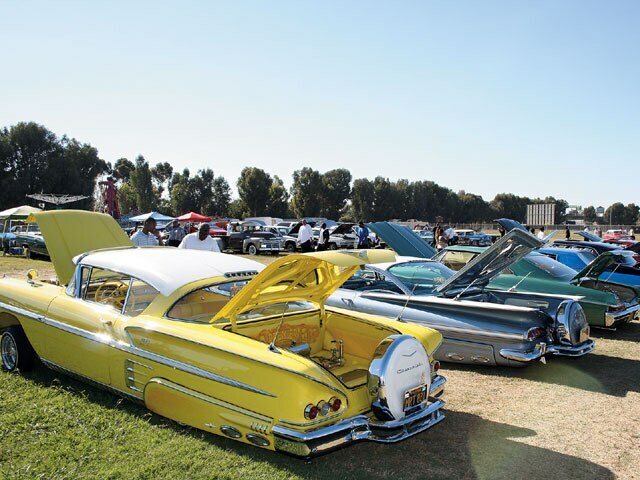 The Mega Peace Fest didn’t just cater to lowriders and since this was a community event the show also had hot-rods, custom SUVs, Euros and even a few motorcycles. But if that wasn’t enough, there was also a hot contest where people went head to head to show who was the best man behind the switch in Compton. 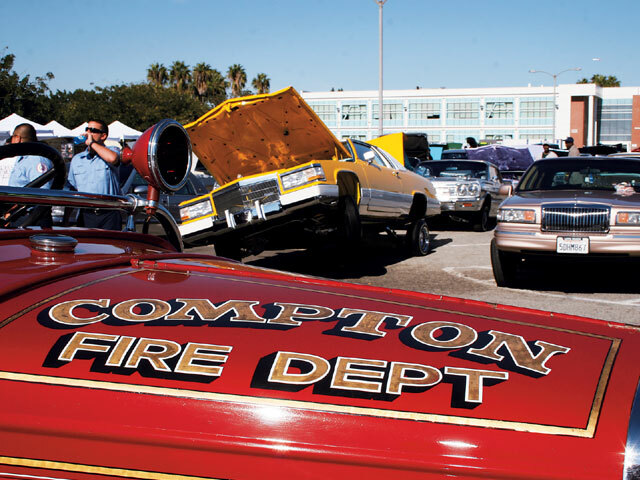 Thanks to Fired Up Records, Compton Community College and National Low Rider Association for providing a peaceful show in the inner city area. Premier C.C. brought out their clean rides. “Certified Gangster” shone under the California sun. Hoppers were ready to serve. The lined-up super-clean ’58s of SouthSide C.C. Compton F.D. displayed their classic. Check me out, inside out, up ‘n’ bottom! 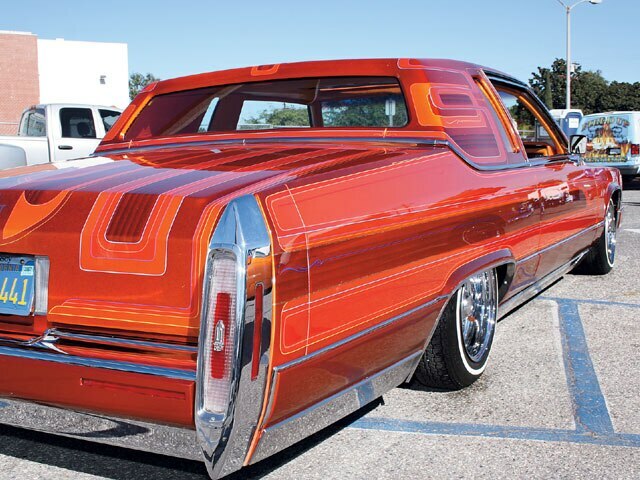 This two-door big-body rag shows off candy graphics. The rear deck of a ’59 is perfect for Levi’s graphics. We really enjoyed the custom paints this day. 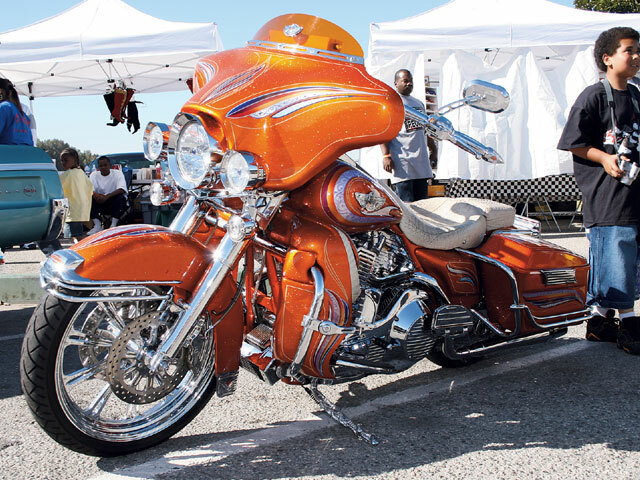 A good example of how lowriders build bad H-Ds.